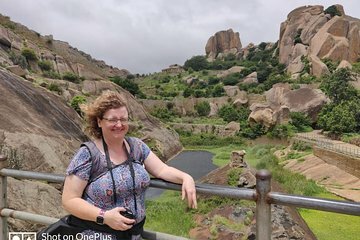 Discover the charms of the impressive Chitradurga Fort on this day trip from Bangalore. Choose to travel by private car or Royal Enfield motorcycle. Explore this stunning 17th-century fort with its concentric walls, gates, watchtowers, and secret entrances and pathways. Climb to the top for views of a mosque, reservoirs, and 18 temples. Enjoy breakfast, lunch, and personalized attention from your private guide.